You're looking at sophisticated, chic and classic Chanel. 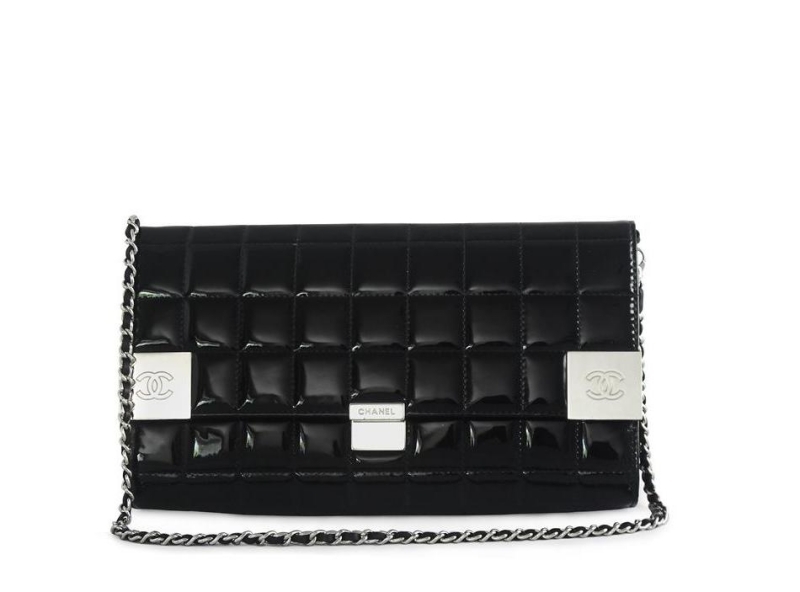 The smooth, quilted, black patent leather exterior features contrast stitching, the CC signature flap and leather-and-chain strap. An interior zip pocket helps keep you organized.